The Deutsche Oper Berlin hosts a major poet: Durs Grünbein, born in 1962 and arguably the most celebrated lyricist working in the German language today, will be the featured author at the latest event in the “Songs and Poets” series. The award-winning poet (accolades include the Büchner Prize) will read from his works as part of a musical programme spanning works from Brahms and Mahler to Shostakovich. Along with Brahms’s Two Songs op. 91 for Voice, Viola and Piano, performed here in a version with violoncello, and Mahler’s “Rückert-Lieder”, the seldom-heard “Seven Romances on Poems by Aleksandr Blok” will also be presented, a work in which Shostakovich has the singer accompanied by a piano trio. The soloist is Californian mezzo-soprano Irene Roberts, a member of the ensemble since the 2015/2016 season and already familiar to audiences here for her Urbain / LES HUGUENOTS, her Cherubino / THE MARRIAGE OF FIGARO and her current stint as Carmen. 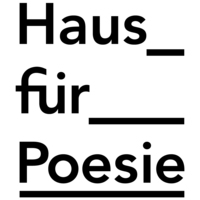 Classical art songs and modern poetry – lieder recital meets poetry reading in this series of events organised jointly with the Haus für Poesie Berlin. Each of the four evening events held in the foyer of the Deutsche Oper Berlin will feature a poet reading original works whose themes complement the songs on the programme.